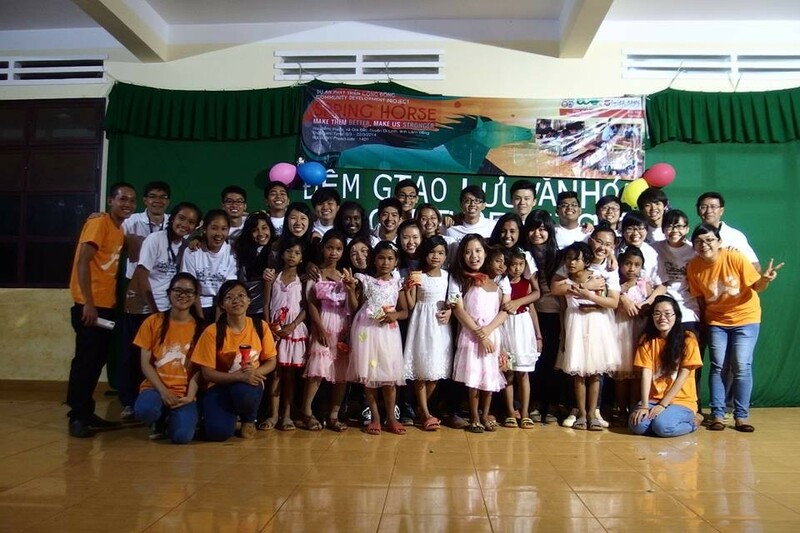 Gia Bac Community Volunteer Center was founded in early December 2013 by a group of volunteers from Vietnam and Nanyang Girl’s High School from Singapore. To this day, the center has been fully developed. The center has a large main room built and has been in operation since early 2014. Gia Bac Community Volunteer Center places importance in becoming a comfortable and friendly learning environment for students in Gia Bac. This is a place where the children can come and play; learn as well as interact with each other. There are hundreds of cultural and science books available for them to read and enhance their knowledge. Furthermore, all the learning facilities are well equipped with adequate tools to create the ideal learning environment. In addition, there are public restrooms which consist of 6 toilets and 6 bathrooms for the benefit of the students studying in the library. The building fund is supported by BeCause Vietnam non-profit organization and ‘Lan Toa Yeu Thuong’ fundraising event hosted by ECO Vietnam Group. 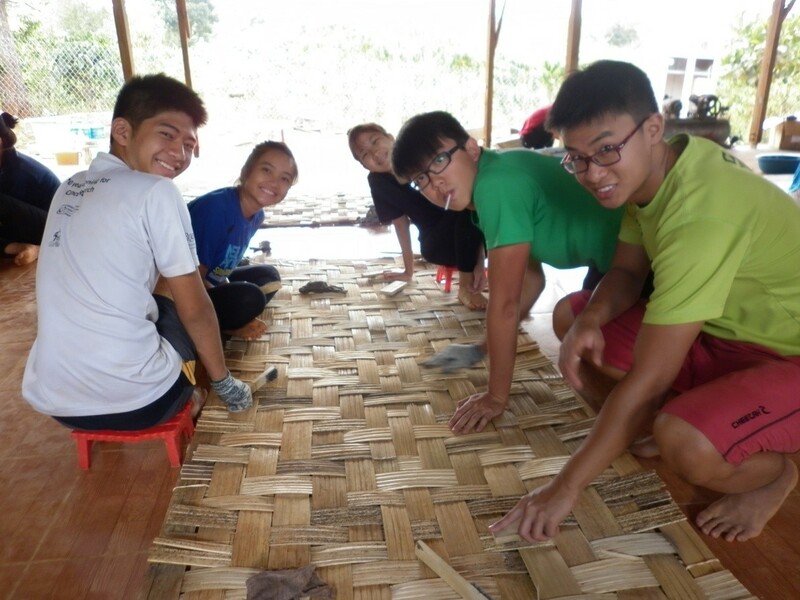 The Gia Bac community volunteer center is the brainchild that ECO Vietnam Group has cherished for so long. Our mission is to provide an excellent environment that can facilitate effective learning for Gia Bac students and increase their desire to read more and to learn more. Our long-term plan is to eliminate illiteracy and help the students to learn critical life skills for their future. EVG hopes to achieve our long-term plan, and at the same time, fulfill the dreams of Gia Bac children by continuing to establish and maintain the activities in the center. Place: Gia Bắc Commune, Di Linh District, Lâm Đồng Province. Participants: 24 students of Ngee Ann Polytechnic with two teachers; 4 Vietnamese volunteers and others members of ECO Vietnam Group. Spring horse is the first project in 2014, in association with Ngee Ann Polytechnic- Singapore, the official participation of 4 Vietnamese volunteers and the help of other EVG members, to improve the standard of living of the villagers, especially the children in Gia Bac commune, Lam Dong province. 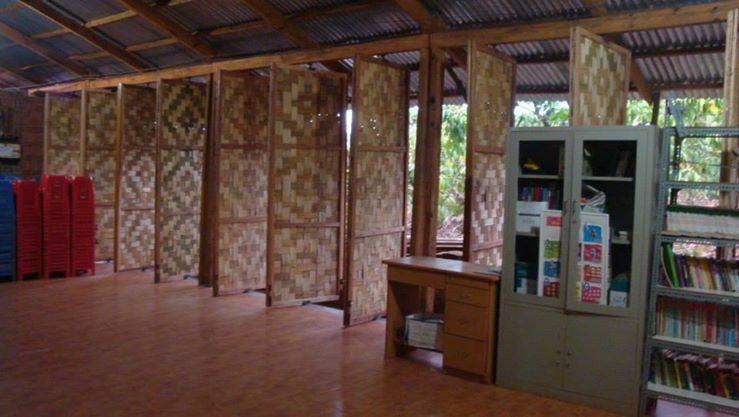 The main activity of the project can be considered as lifting the floor of the Community Library, Knitting the doors of the Library, teaching English for the student in Gia Bac primary school, visiting poor houses, organizing Book Fair and Culture Night for the children and the people there. About knitting, in the 3 first days, we did it in the morning, then also in the afternoon. This work was not so hard, but it required patience and responsibility, also the ability of working together as a team. The participants needed to observe, analyzed and followed the instruction of the workers. We had some convenience in work thanks to wide work-space, enthusiast workers, gloves to protect our hand, and “non la” with masks for not getting sun burn. However, working under direct sunlight made us tired very easily and needed a lot of water. Thanks to Mr. Ok, we had big water bottle everywhere for everyone, this meant a lot to us. Starting for those first days of the lifting work was to clean the library to get the space, we moved the bookshelves and others accessories outside, then break the old cement. A lot of efforts and strengths had been spent to crush the old surface. It seemed like over-hard for girls, but they wanted to try and they were very keen on this work. We finished it without spending too much time. Many days after, our main works were moving sands for the workers and inside the library. A brilliant thing that happened to us was that the workers had their own machine to mix the cement, so we did not have to make it by our own. But in next day, the electricity was off. Our volunteers had a chance to try it. Besides, they participated in paving tiles too. After making the tiles inside the water during 15 minutes, they moved them to the workers. 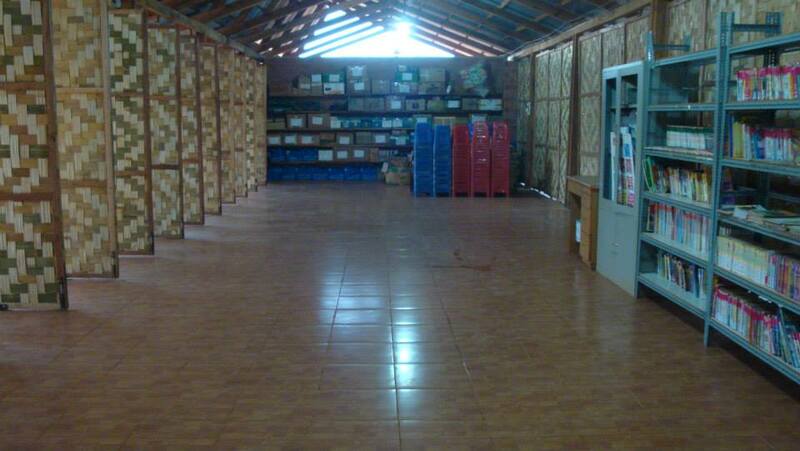 One day after, we helped to fill the empty space between tiles with white cement and cleaned the library again. Our Book Fair plan was carried out to reality with some success which we were very proud at. 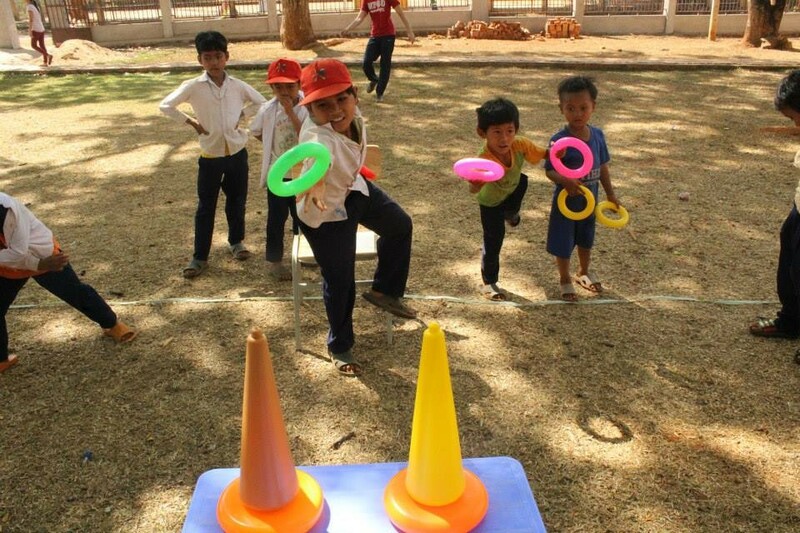 The children had a chance to participate in games, where they could run and move a lot with laughing on their face. They also could color and decoration pictures and paper sheets. The materials like color pencils, markers and the little sparkling things to decorate were which the kids rarely have a chance to use it, because their families are so poor for buying that. The Reading Corner also attracted a lot of kids sitting in their place and reading books they get from the shelves. Bringing them joy and books made us very happy and feeling a little proud of our kids, because no matter how hard their life would be, they are still innocent and optimist and always have the smile on their face. The culture night was on stage from 6.30 pm to 7.45 pm, included 3 spectacles from Gia Bac primary school, 2 from the library and 3 from S-team, finally one spectacle with the performance of the V-team and the kids. We ended the show by the giving candy and cookies for them. Home Project is a collaborative project between the student groups EVG and Singapore Management University (Singapore), to be implemented in Gia Bac commune, a poor commune of Di Linh District, Lam Dong Province. 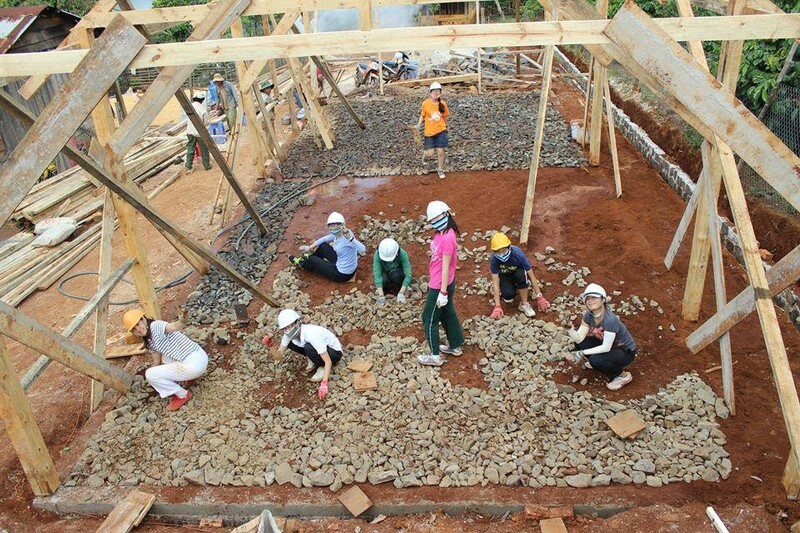 To help communities more difficult in Gia Bac, groups of volunteers from EVG and SMU has two main activities are: ECO Love House construction and teaching English to children in elementary grades 3 Gia Bac. While getting used to the job, the volunteers came from SMU seems to be the “experts” in the building, they can even understand the builder without translation of the Vietnam Volunteer . The always creative in your job, the “human chain” is established when necessary to move material from the outside. Learning is a very fast and advantages of you. Group to group housing is always sweating the most, however, is to fulfill the workflow sooner than expected. Teaching job seems to be a little light work and more difficult. But the reality is not so. Teaching English is also extremely exciting and interesting. The first time I was exposed to here, the volunteers were very impressive and endearing. Because they bravely and so much more confident than before, so lessons are lively and very quickly they became acquainted with you. Library Event: There are 11 games booth volunteers of both the Singapore and Vietnam volunteers. The children participating in winter but not as expected but everyone is very excited and play hard. The girls did not like the original male boldly join the static booth (to bowl, bowl and colored sand paintings). Last time, they were participating in big games and receive gifts. End of Project R & R trip lasts more than one day in Ho Chi Minh City. The members of the delegation had the opportunity themselves to each other and understand each other better. Everyone is very sorry that ended last trip and return meaningful. However, this will be a very memorable anniversary. Everyone was hoping that would meet again in a different project OCIP. 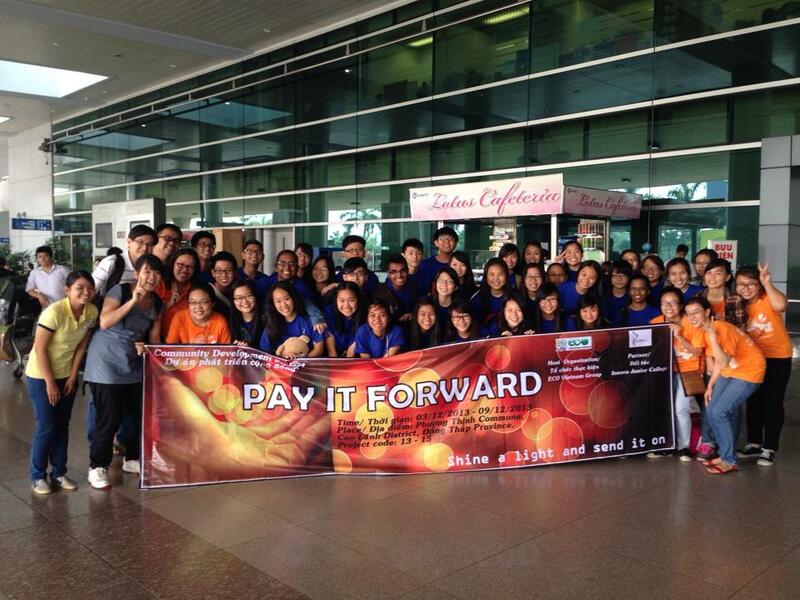 Project Pay It Forward marked the start of cooperation between EVG and Innova Singapore high school. Through this project, a new cooperation was formed and the importance of EVG as well as its authority over Singapore and Dong Thap province was increased. 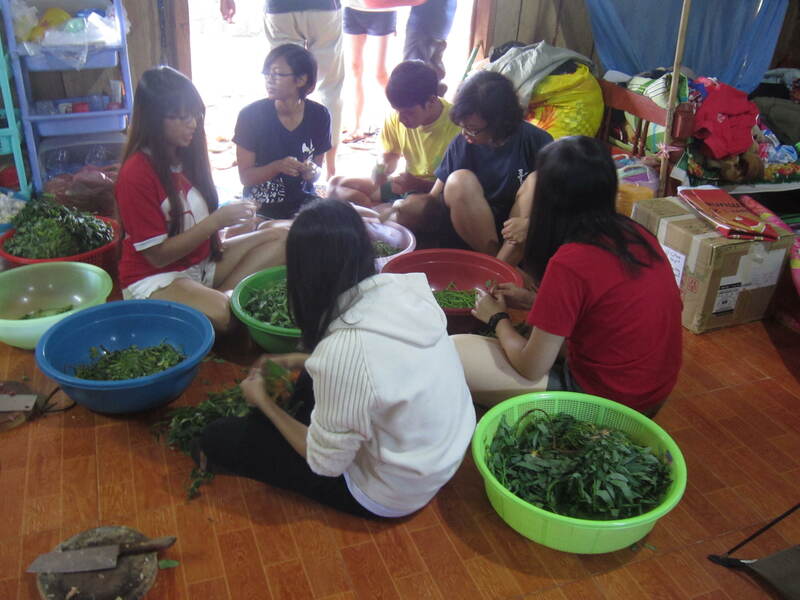 From 3/12/2013 to 9/12/2013, PAY IT FORWARD project held by ECO Vietnam Group (EVG) together with Innova Singapore took place ebulliently at Phuong Thing Commune, Cao Lanh District, Dong Thap province. This is the project whose aim was to help and improve the lives of the locals at Phuong Thinh Commune. Within 7 days, with the youthful enthusiasm and the aspiration for developing community, nearly 60 volunteers from Vietnam and Singapore devoted themselves to help the locals. Some typical events were: visiting the poor, teaching English to children, building 1-kilometre long road, 2 toilets as well as organizing tours for Singaporean students to the tunnels of Cu Chi and 3 more famous tourist attractions in HCM city. On the first day at Phuong Thinh commune, both Singaporean and Vietnamese volunteers teamed up to build 2 toilets for some poor families. Despite the baking hot weather along with some unpleasant insects, they still worked enthusiastically in the hope of contributing to the community. Besides, on the next days, English classes at Phuong Thinh I, II primary school also made a good impression on the locals, especially the students studying here. Our volunteers always knew how to attract their students with interesting methods. Apart from English classes, students also had a chance to take part in extracurricular activities with Singaporean volunteers. No matter whether it was traditional games of Vietnam or Singapore, the students joined with all their might. They really got along well with our volunteers, considering them as their siblings. On the way home, the children and the volunteers were hand in hand; they talked to each other happily. Happiness was that simple; perhaps, we would never forget those kids, who treated us with all their heart. Apart from daily activities, the volunteers of Pay It Forward project spent some time organizing one cultural exchange night with the locals. Everyone gathered happily around the camp fire and beautiful melody resounded the place. From here, the friendships grew. Looking back the memorable days, there were times they felt exhausted and even helpless; however, the volunteers of this project always kept up the true spirit of social activists. They never hesitated in any difficult tasks. And above all, they always maintained their youthful enthusiasm. According to them, this trip helped them grow more mature and cherish their precious lives. One thing remaining after the project was marvellous feelings they would never forget. This project also provided them with invaluable experience that they would remember forever. Sunshine was a cooperation project between EVG and Saint Andrew’s Junior College, taken place at Gia Bac Commune, the poorest commune belong to Di Linh District, Lam Dong province. The locals here at Gia Bac live mainly on growing coffee and corns. Their incomes are really low; consequently, they don’t care much about education for their children. In order to fight poverty, the initial task is to change their outdated thoughts fixed in their mind. Step by step, EVG has been tried our best to reach this target. Understanding the importance of education and the preservation of K’hor’s culture, which is gradually falling into oblivion, in 23/11, we, Singaporean volunteers from SAJC and three volunteers of ECO Vietnam Group got together at Gia Bac to build a classroom and a gallery in the hope of creating an educational environment for children, a place for the locals to spread and preserve the beauty of their culture. In addition, we also bring them hours of learning English in the most comfortable way as well as giving some practical gifts for the poor. 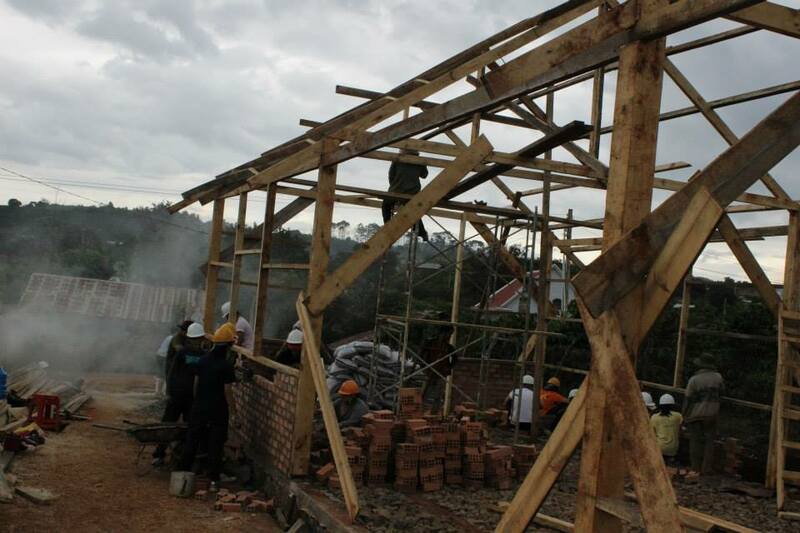 We almost finished building the classroom and the gallery ( without doors). Within 10 days at Gia Bac, we accomplished our missions: 10 useful English classes in 6 days; visiting 3 poor families and giving them gifts; harvesting coffee, building 1 classroom and 1 gallery On the first day, we arrived at Gia Bac in the evening and rested that night. On the second day, we got to work immediately. 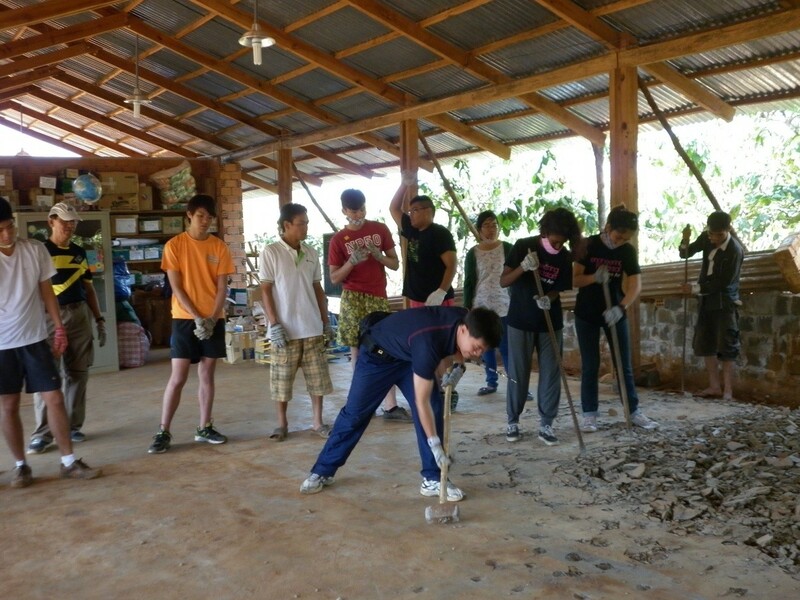 We, 21 volunteers (Singaporean and EVG) were divided into 3 groups: one group for contruction tasks, one group for teaching task and the other group was in charge of domestic tasks (cooking, washing dishes and cleaning). In addition, there was one group who was responsible for harvesting coffee, but this duty was just done in 1 day ( in the morning and in the evening) for the reason that the construction tasks were much more important. These tasks were shifted among groups in the following days. All volunteers were all enthusiastic about the brand new experiences. On the first working day, everyone was all eagerly awaited… Harvesting coffee just took place in one day, but it was warmly welcome by volunteers. 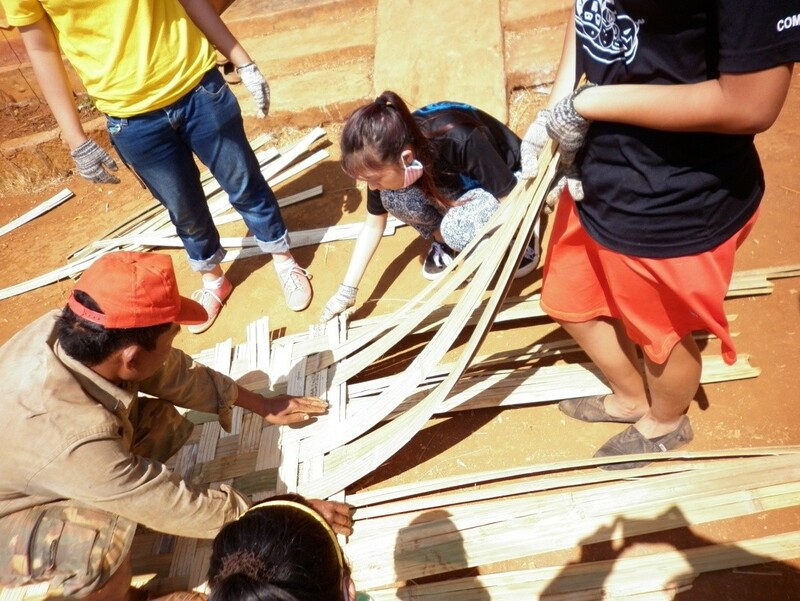 Despite the swelteringly hot weather, the volunteers still did the job enthusiastically. Moreover, they had a chance to learn about the process of growing, harvesting and subjecting coffee to preliminary treatment. They paid more attention to the price as well as living standard of the farmers in this red soil. Besides, this work required some particular skills and effort. In the first stage, the volunteers were quite awkward when carrying out the job. However, the the next days, they made progress quite fast thanks to their enquring mind. They found it interesting to do the construction work, which was expected to be uninteresting and require a lot of effort. But the lessons they gained from the experience is invaluable. In some days, when there were so much work to cover, the volunteers still patiently carried on to complete the duty. In spite of the baking hot season, they still felt satisfied with their products. Teaching task, which was thought to be much easier and funnier, turned out to be no less than difficult. The difficulty lied in some naughty boys, who much preferred playing with guests to studying, while girls tended to be passive in the lessons. In the first class of class 4B, boys struggled for taking parting the games to receive gifts whereas girls were not brave enough to join though they knew the answers. Fortunately, the children were very obedient and after receiving out encouragement, everyone joined the class happily. They also joined us to dance along with some English songs. The class atmostphere became much more comfortable. Partly, our lesson target was to raise English level of children in the highland. However, another important aim was to help them become more confident in communication skills and realize the positive effect of education on the future. Overall, teaching task was highly appreciated as it brang up the outcome better than expected. 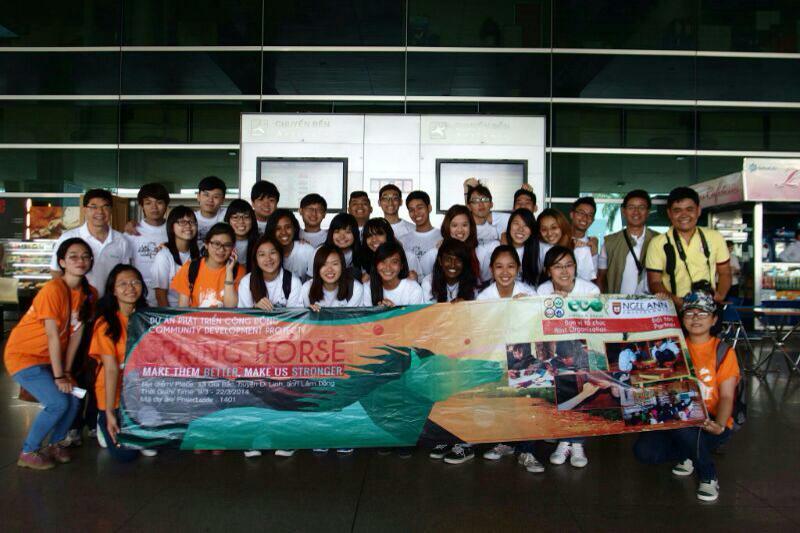 Singaporean volunteers prepared carefully for the lessons to arouse the interest of their students. Furthermore, we also organized 2 more events: one library event and one night for cultural exchanges. Library event was very successful when it attracted quite a few children of Gia Bac primary school. Including both creative and physical games, library event helped create an environment for children to engage themselves in and become more active. Cultural exchange night was held at the library. There were not many guests except teachers at Gia Bac primary school and Singaporean and Vietnamese volunteers. The most attentive audiences were children and parents. Together they made a warm performance night On the last days, we organized to visit 3 poor families and gave them some meaningful and practical gifts. It was not just a simple visit, it provided us with a chance to understand more about the locals’life as well as helping us figure out what made this land be under poverty. From that point, we could contemplate more about our contribution to this beloved land. On the last night at Gia Bac, we gathered around the camp fire, together we sang and shared our thoughts. 10 days at Gia Bac had passed, we returned to HCM city. There is not a single word, but we all believe that we’ve gained a lot of precious knowledge and experience. The next destinations were the tunnels of Cu Chi, Saigon Notre-Dame Cathedral, War Remnants Museum, Ben Thanh market, etc… These famous places helped the Singaporean volunteers knew more about Vietnamese history and culture. The 14-day period had passed, we had to say goodbye. But what we received was the friendship, the experience from daily life at Gia Bac, and the beautiful memories we would never forget. The first task was to build toilets. But why building toilets here? Because the locals at Gia Bac didn’t have a habit of using toilets. They would prefer using the back of their gardens. The problem is that if toilets haven’t been used, not only would the environment be polluted, our health would be negatively affected as well. 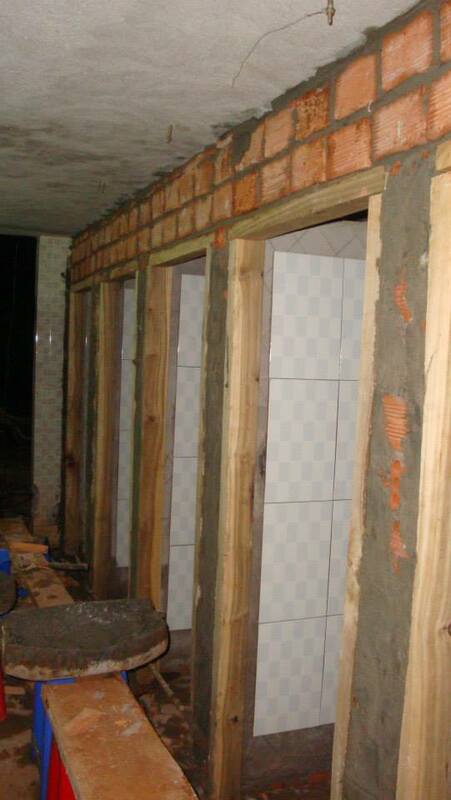 Building the toilets was not easy. We must observe how to mix the mortar and how to lay bricks properly… with the help of building workers, after 5 days, our work was accomplished. How proud we were for this accomplishment! The next task was to harvest coffee, which was considered to be the main source of the locals’ income. We helped them harvest more than 30 coffee trees within 3 working sessions. Next, we had to handle with the teaching task. It was thought that language barrier was the biggest obstacle which prevented the Singaporean volunteers from communicating with Gia Bac pupils. However, it was their youthful enthusiasm along with their wholehearted devotion that built the bridge between kids and the volunteers. Then, a cultural exchange night was held on the last night the volunteers were at Gia Bac. Apart from traditional performances of the locals, there was an event in which both Vietnamese and Singaporean volunteers prepared more than 350 presents for children at Gia Bac commune. 5 days at Gia Bac had already passed, we turned back to HCM city, showed the Singaporean volunteers around the city and finally saw them off. The project had successfully come to an end. The time we exchanged gifts was also the time for warm hugs, shaking hands and saying goodbye. A week spending time together was not long enough for us to understand each individual thoroughly; however, the Singaporean volunteers showed us their youthful enthusiasm and great sense of responsibility. Thank you so much for joining us and contributing your strength to the better society. Thank you for supporting us in carrying out this project. Gia Bac, with 99% of population are K’Ho ethnics, is one of the deprived commune in Vietnam. The main income of the locals is from coffee bean and corn harvesting. However, the harvesting is much affected by changing weather, which brings about lots of difficulties in their daily lives. Also, it is because of the poverty that kids in Gia Bac do not receive enough love and care from their parents who are busy days and nights working to meet ends meet and more importantly, good education. The vicious circle of poverty – low education – low awareness – poverty is the one that EVG has been aiming to break down since the very first day we set foot on this land to start our community development projects. As one of the four OCIPs hosted by ECO Vietnam Group taking place in Gia Bac commune at the ending time of year 2013, Angel’s Smile Project was carried out from 15/12/2013 to 27/12/2013 (EVG) and supported by teachers and students from Nanyang Girls’ High School ( Singapore), one of EVG’s long-time partners. Our mission this time is to build 1 EVG toilet and 1 EVG classroom, to harvest coffee beans, to teach English to 4th& 5th grade students, to organize “ Library Event” & “Cultural Night“ for the kids and to visit poor families. After 10 days of hard but fun and meaningful work in Gia Bac, we came back to Ho Chi Minh city with smiles. We smiled because we know that we did contribute something to this community with our great efforts and that we all learned some precious lessons from this trip. Just as the slogan of this project, we gave hands and took smiles. Below is sharings from 2 Vietnamese volunteers who joined Angel’s Smile project. Please take a look and learn how they think and feel about the project! This trip didn’t give me strong feelings, life-changing thoughts or a twist in my life. I have experienced volunteering work in previous volunteer trips before and thus, it was not easy for me to get aroused tremendously. But, this trip gave me a feeling of love for my country. A long road twisting between mountains leading to Gia Bac is filled with green color, the color of trees growing strongly on this highland area. I was overwhelmed with excitedness seeing the amazing scene and couldn’t help being proud of the beauty of Vietnam landscape. Then, when I set foot on the land of Gia Bac, the excitement doubled as the place here was so peaceful and refreshing. This trip also let me see myself of 5 years ago. Everyday, I and other 20 middle high schoolgirls woke up at 5:30, had breakfast at 6:30 in a relaxed atmosphere, and started construction work at 7:30. 1 hour of us working actually could be done in just 5 minutes by the professional builders, but we enjoyed learning to do the tasks, making mistakes and getting the hang of them. After a day of working, the girls gathered in the library to do the reflection. They laughed, they cried and hugged each other to forget their homesickness. And I saw myself in them. 5 years ago, I was also like that, being new to everything at a new place, laughing, crying, going through ups and downs and growing up. Coming back to the city, I have more free time for myself and enjoy all the conveniences, but still, I can’t help missing Gia Bac and everything happened there. I, a newly graduated girl who has got full of passions, ambitions and desires to learn, embarked on the community development project with the group of students from Nanyang Girl’s High School taken place in Gia Bac commune. And here, I want to share with you three things this trip has taught me. Lesson no.1: Giving must go with consideration. Since I was little, my parents has taught me to help others who are less fortunate than me. Keeping my parents’ words in my mind, I have been on many volunteer trips to help unfortunate people. And not until this project had I thought I had helped a lot of people. But, this trip made me realize that a mere action of giving doesn’t assure that you will receive happiness. If you give just to satisfy your feelings without thorough consideration, your giving doesn’t mean anything. 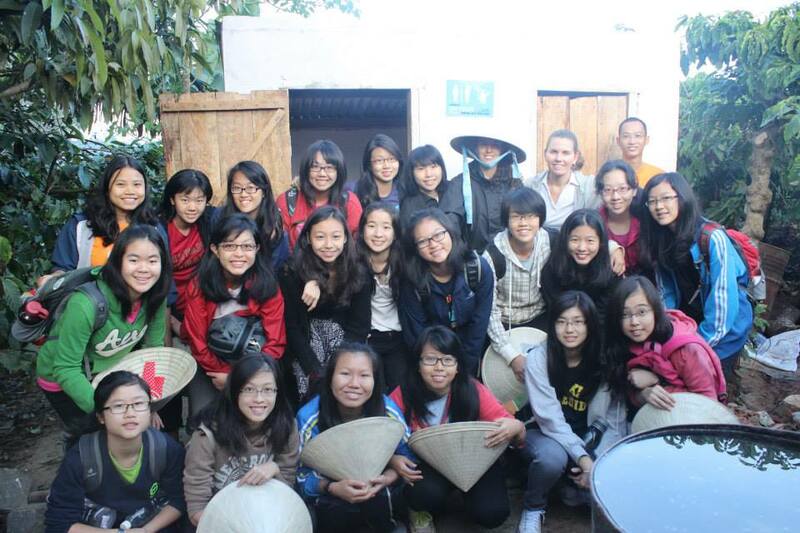 In this project, our group included 20 Singaporean girl students, 6 teachers, 1 tourguide and 6 Vietnamese volunteers. Together we spent 10 days in Gia Bac building 1 toilet and 1 classroom, teaching English to elementary students and holding 2 big events for the kids. How come a group of too many individuals with different characters and backgrounds could finish all of the tasks? Because we didn’t just work and work. We talked. We laughed. We cried. We shared every moment together. We opened our hearts to each other. Not only did we learn to work with building & teaching materials only but we also learn to work with people. I learned that the key to a team success is “chit-chat”. We chat to understand each other better, to erase all the initial misconceptions of each other, to see and accept the real of our team members and to find a way to work well with each other. Lesson no.3: A small thing to me maybe is a very big thing to others. 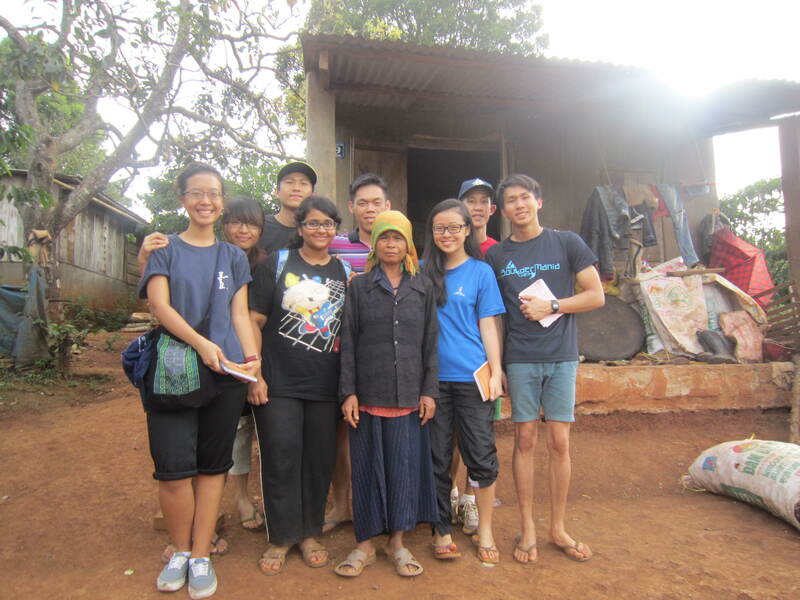 At the last day of the project, I had a chance to visit a poor family in Gia Bac. There are 5 people in this family, one old father and four little children. The father is sick, so everyday, 4 little kids have to walk a 10-km-long way to their farming land to take care of corn and coffee trees. Their daily meal is rice and wild veggy, and rarely with some dried fishes. In winter, wood is used for cooking rice so there is no wood left for them to warm up themselves. Four of them sleep on 2 small beds and share 2 quilts. But, however poor they are, the father saves all the money he has got, even money for treating his illness, for his chidlren’s education with the hope that they will have a better life than him. You know, a small amount of money to me, 20000 VND for a cup of coffee, can buy him 1-week-food. Seeing the great difference between their lives and mine made me understand so well how blessed I am to have such a life without worries for basic needs and hence urged me to stop affording unneccesary things and use the money for a better purpose. No eating cakes for three days and use the money to buy the family a new quilt is a good instance, isn’t it? Enter your email address to follow us and receive new notifications by email.